The Catholic institution University of Santo Tomas (UST) Office for Admissions (OFAD) in a statement on their website said that official release date of USTET (UST Entrance Test) results for Academic Year AY 2015-2016 is on January 28, 2015. List of passers (results) will be available online as UST will advise the portal where examinee can log-in and view if he/she passed the test. USTET was administered in three batches by OFAD on August 24, September 28 and December 7, 2014 in Manila, 37 official testing centers in Provincial areas and 10 international testing locations. Since last year exam, OFAD has improved the procedures as they implemented the barcode system. Unlike the traditional shading or blackening of applicant numbers, there is now a necessary control number assigned to an applicant that corresponds to his or her own barcoded answer sheet. UST said that high school grades are required before taking USTET, 40 percent of the applicant’s total score will be based on his/her high school academic performance. The remaining 60 percent will come from USTET results. 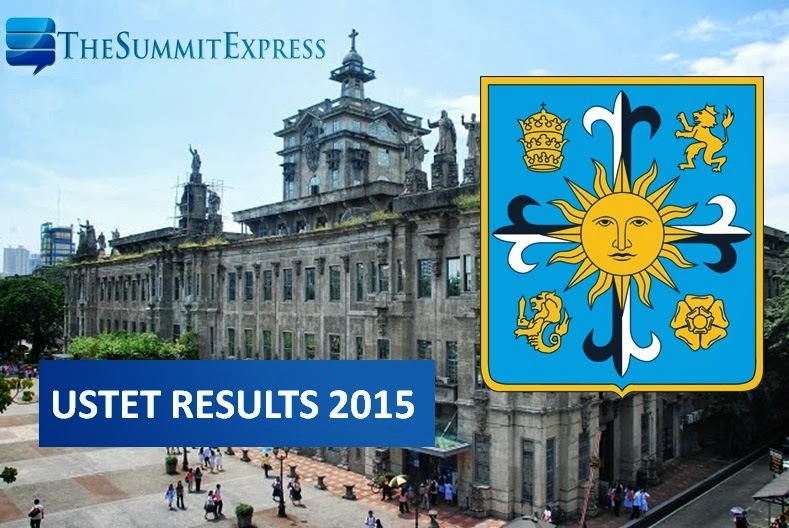 The premier university also said that passing the USTET is not the sole basis for admission to some colleges. A second screening is required by the College of Nursing and the College of Tourism & Hospitality Management in the form of an interview, the Conservatory of Music requires an audition, the College of Architecture and the College of Fine Arts & Design require an artwork rendition. For AY 2015-2016, the target release date of results is the same on previous years. For this year USTET results, it is also expected that the complete list of passers will be posted at the UST campus after a day the results were released online. Note: Link to UST Admission results page portal will be available here once results are out online. Meanwhile, UST already announced that first year college entrance application for SY 2015-2016 is now closed. For entrance exam updates, Follow Us on Twitter and Like Us on Facebook. You may also subscribe to our RSS Feeds.